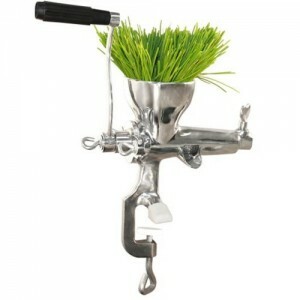 Twin Gear Juicer Worth The Price? If you have begun making your own fruit and vegetable juice or are thinking of doing so, then no doubt you have seen a twin gear juicer or two and been a little shocked at how expensive they are when compared with all the other types of juicers. You have even found yourself wondering if they are worth the price. In the long run, they are definitely worth the price and here is why. 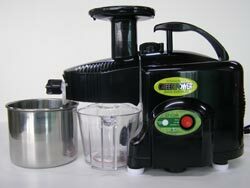 A twin gear juicer turns at a slower speed than other types of juicers. The slower a juicer turns the less heat and oxidation you have. As you already know that both heat and oxidation destroy vitamins and nutrients which is the main reason most people make their own fresh juice in the first place. Less oxidation also means that your fresh juice can be stored in the refrigerator for longer periods without losing its nutrients. More importantly, these juicers actually extract more juice from your fruits and vegetables especially wheat grass and greens. That is because their high compression can actually rupture the hard plant cells walls and force more juice from the fruit or vegetable. Meaning you get more juice for less produce which saves you money in the longer run.